When it comes to deciding whether someone is telling the truth or a lie in daily life, you can trust nothing else but your guts. However, in situations when this can have serious consequences, this is not enough. The good news is that the evolution of technology has led to the emergence of specialised devices, known as lie detectors, used to analyse a person’s answers and establish the truthfulness of falsehood of their declarations. This system is based on a combination of medical methods aimed to supervise the body’s reaction during the lie detector test, in order to ascertain the accuracy of the declarations. Of course, the interpretation belongs to the person in charge with examining the entire situation. For this reason, the idea of the device delivering test results is actually a bit deceptive, since an examiner is the one who has the final call. How did the polygraph instrument / lie detector test was launched? During the years, there have been several methods of finding out if a person is sincere or not. The original initiatives were trying to offer the police a trustworthy tool they could use during criminal interrogation or in court. In the 90s, most of these were based on physiological indicators, which showed emotional disturbances. Over the time, multiple scientists were interested in finding the most accurate system, which is why they have conducted researches on the inspiration-expiration ration, heart rate, quantitative systolic blood pressure etc. As a matter of fact, although the results they obtained were not the most reliable ones, all these individuals set the bases of the lie detector we know and use today, more performing and efficient. John A Larson, a psychologist from California, was the one who managed to obtain the most relevant breakthrough in terms of lie detection. How does the polygraph instrument work? 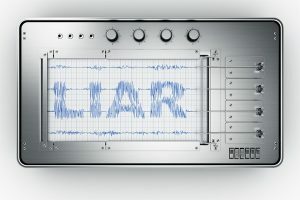 As mentioned above, a professional lie detector delivers results based on a series of techniques and analysis. These are actually a combination of medical devices and psychological patterns, aimed to monitor the body of the person that is being questioned and see whether remarkable chances happened during the process. Normally, due to the pressure of the moment, the individual interrogated can go through different emotions and these are all indicated by the lie detection device. Some of the most common signs of anxiety are higher blood pressure, growth in the heart or respiratory rate, as well as electro-dermal activities, among which sweatiness is the most popular one. In case a person is lying, there will be plenty of variations, as compared to normal levels registered in ordinary conditions. 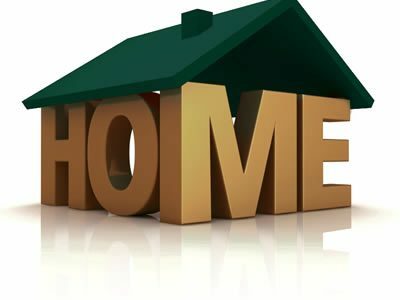 However, the final result is generated after the detailed assessment of a professional and skilled examiner. They are the only ones who can analyse all the elements and say whether the variations are due to normal stress conditions or to the fact that the individual is actually lying. Sometimes, these can appear even in innocent people, because of the pressure of the moment and the stressful atmosphere. Polygraph Examinations With Awkward Clients, How Do You Deal With Them ?